I know it may seem unnatural to look yourself in the mirror and say kind and motivating messages to yourself. But recognize that it is only unnatural because it is unfamiliar. The more uncomfortable it makes you the more you should do it. Recently someone asked me why my blog posts speak to mental health issues and self help, after all I call myself a communications expert. Well, I believe one of the greatest problems inhibiting effective communications is that we speak and listen through filters. 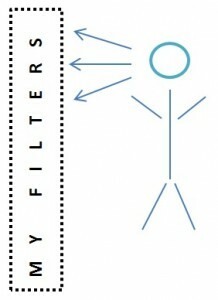 Filters are made up of issues based on one’s emotional health. When I frame a message and send it to you I am only speaking in a way that will make sense to me. I am using references that matter to me. I am ignoring related issues that don’t matter to me. Similarly, when you speak to me, I am processing your message through my filters. If you do not take my perspective into account, you message may mean nothing to me. If you can look yourself in the mirror today and say “I’m in a good, healthy, and happy place.” you bolster your emotional health. With greater emotional health, your will build self awareness. 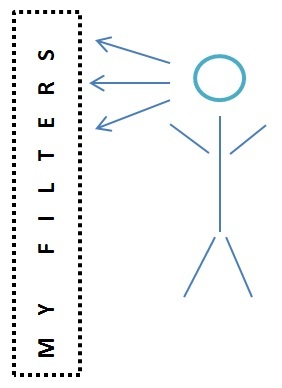 In other words, you will become aware of your filters. Self awareness enables you to be more receptive to messages and speak from a place of objectivity instead of a place of emotional reactivity. Every good home needs a strong foundation. So too does every good message require a strong foundation. You are the foundation upon which your messages are built. So ask yourself, How emotionally healthy am I? The answer will tell you a lot about whether you communicate effectively. Whatever your answer, I urge you to look in the mirror today, put on a big smile and tell yourself, “I’m in a good, healthy, and happy place.” I promise you will feel great and communicate better in the aftermath of that positive reinforcement to your emotional health. Can You Get Codependency Treatment?